Celebrate the day of independence with something unique and artistic style of food at Art Bar Cafe. Relish the tri-colored mocktail prepared from Indian fruits like Mango and Coconut. 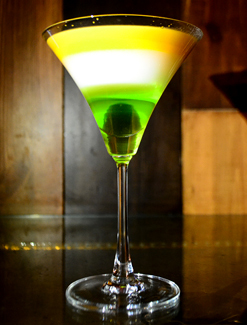 Art Bar Café invites all nation lovers to indulge in a special Republic Day menu. The dishes have been very artistically crafted after the name of different states of India. You can try dishes like Akbar ki maa ki seekh kabab, Wasabi matter ki aloo tikki, Paneer Tikka Strictly Punjabi, Daal Chawaal Desi Ghee ka Tadka, Vegetarian healthy bowl, Sawasdee kha green curry veg shewers, Purani Dilli ke veg Burger, Punjabi Butter Chicken Kathi, Pesto Paneer and crusty wheat Pao, Cheese Cake Kulfi, Tri colour Smoothies (watermelon & mint, Strawberry & Coconut) to name a few.